The Los Angeles Ensemble — Laguna Beach Live! 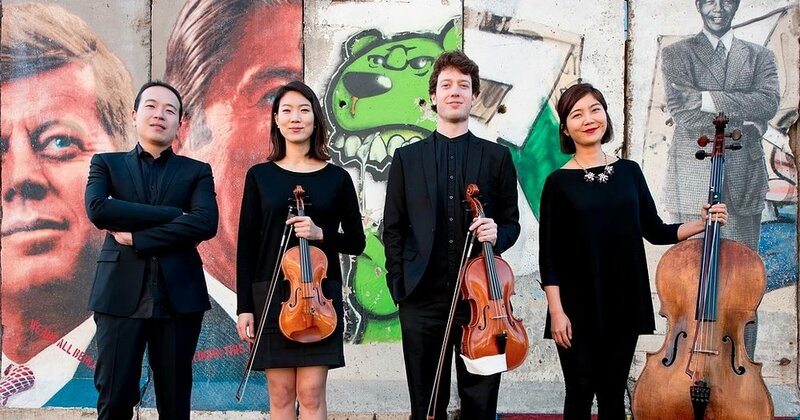 Formed in the fall of 2015, the Los Angeles Ensemble was awarded first prize at the International Music Competition Grand Prize Virtuoso in London and fourth prize at the Schoenfeld International String Competition in Harbin, China. LAE is active in the greater Los Angeles area, performing regularly in concert series such as L’Ermitage and Classics Alive Presents as well as in intimate house concert settings. Consisting of four youthful musicians with a passion for untethered creativity, LAE prides itself on its diverse programming and takes full advantage of its versatility as an ensemble. Beyond playing quartets, their programming offers variety to their audiences by including literature for solo, duo, and trio formations. Special projects have also featured contemporary music, film music, and narration. Members of LAE have studied at some of the most prestigious institutions across the world, including universities in Korea, Germany, Singapore, Austria, Switzerland, as well as the Los Angeles’ own University of Southern California and The Colburn School. They have also won a remarkable number of prizes at competitions which include but are not limited to Nagoya, Korea Times, Padova, Golden Bell, and Yong Siew Toh.